A quick glance at tuition costs at any school will tell you that the cost of education is high. Particularly in the fields of art, music and film, it can be even more expensive when you want to attend the top schools in the country. While there are scholarships and grants out there for you to apply for, you need to concentrate on the ones that are particularly geared for women, allowing you to access more money for college. You should focus on as many scholarships and grants as possible because it will allow you to save a tremendous amount of money. This is free money that is given out by the government, companies, organizations and schools to help make a higher education more affordable. No rules exist in terms of how many you can apply for, which means you need to apply for as many as possible. The more you apply for, the better you improve your odds of getting some of the free money that is handed out every year. As a female, you can get scholarships that are geared towards the art, music and film industry as well as ones that are given to you because of being the minority gender. You also get to take advantage of ones offered to you within your industry that require you to also be a female. The more scholarships you can find that allow you to focus on these things will allow you to save a lot of money towards your education. When it comes to finding scholarships and grants for art, music and film, you can find them virtually anywhere. The first thing to understand is exactly what you want to major in and where you plan to go to school. The more you know about these two topics, the easier it will be to home in on the scholarships that will offer you the most money and are designed to what you plan on studying. If you haven’t identified the college or university you will be attending, you should at least narrow it down to a few states. There are many scholarships that are designed for those attending school in regional areas, such as the Midwest or New England. There are two types of scholarships available. Need-based scholarships require you to be in financial need of the scholarship in order to attend college. The second is a merit-based scholarship that usually has something to do with GPA, competitions won, community service performed or some other merit. To apply for need-based scholarships, it’s important to start with the federal government first. The FAFSA website contains the Free Application for Federal Student Aid. This is a free application that doesn’t take long to fill out. If you are still a dependent of your parents then you will need some of their tax information to complete the form. Ultimately, this form is used to prove that you are in need of financial aid to pay for college. As a result of the findings, you may be offered a number of federal grants to attend college, including the Pell Grant. Even if you aren’t given any financial aid from the federal government, you will need the report that is generated to submit to any need-based scholarship you apply for. Grants are very similar to scholarships as well in that they are free money. Some are simply gifts of money while others require that you participate in a certain study, do a research paper or complete an internship with the company who is giving out the grant. Grants can often be for a lot more money than scholarships because of this extra requirement of your time down the road. The type of student is usually discussed in the details for the scholarship. Depending on whether you are in high school preparing to enter college for the first time, in college looking for money for the following year, or you’ve been out of school for a while looking to re-enter, you will need to identify yourself as one of these and look for the specifics on the scholarships. There are scholarships for all three types of students but it will be a waste of time if you apply as a college student when they are only being given out to high school juniors and seniors. The range of study is also important. The scholarships and grants are typically paid directly to the school to ensure you meet the criteria they have posted. If the scholarship is for art history and you are studying something other than that, the scholarship will be null and void. There are many broad scholarships out there allowing you to choose the field of study you want under art, music and film; however some can be very specific. Location is another common criterion of scholarships. These may require that you are attending school in a particular region of the country, state, county or even university. Many of these are set up as memorial scholarships and therefore want to honor a person who made significant contributions to society in a particular area. If you don’t know the details of where you want to go to school yet, it can prevent you from applying to a number of scholarships because of this criterion. Finally, pay attention to the GPA. These are used in need-based and merit-based scholarships. Scholarships and grants don’t always require you to be the best student but it is often used as a deciding factor. That is to say, if it comes down to two students who are neck and neck in other criteria, the scholarship will usually be awarded to the student who has the higher GPA. As a woman, you have an advantage going into the search for scholarships and grants in the art, music and film industry. What’s important is that you focus on other areas where you may be a little unique to try to get as many scholarships and grants as possible. There are a lot of scholarships and grants out there with very specific criteria that go unclaimed every year. These can be easier to get because you are competing against fewer people for them. You should try to apply for 50+ scholarships and grants. Some can be done online, others will require you to submit them via the mail. Either way, it’s important to complete as many as possible because you improve your chances of being awarded at least one if not multiple scholarships and grants. The more financial aid you can secure, the less you will have to rely on student loans. Try out all avenues when it comes to getting scholarships for your art, music or film education – even if it means thinking outside the box or submitting your work into a competition. Your school can provide you with a significant amount of assistance in terms of finding scholarships and grants for women on your behalf. If you are in high school, you may have a career counselor. When you let them know what your major is, they will be able to tap into their resources to identify a number of scholarships and grants for you. Letting them do a lot of the work for you can help you find a lot of scholarships that you already qualify for without having to search through hundreds where you don’t. If you are in college, the financial aid department can assist you with scholarships and grants. You should also talk to the professors that you have for music, art or film to see if they are aware of any financial aid that is out there. You may be surprised by what your professors turn up simply because they are affiliated with a number of associations that hand out scholarships every year. If you are in high school but have already identified the college you will be attending, you should talk with the financial aid advisor of the college you are going to. The college is going to do anything they can to help you afford to attend. This could mean offering you scholarships that are given out by the college every year as well as producing lists of scholarships that you may or may not qualify for. While you are in school, high school or otherwise, it’s critical to focus on trying to meet as many criteria as possible for future scholarships. Look at what many of the scholarships require you to have and work at meeting those criteria. This could include community outreach programs, focusing on community service, volunteer work, joining an organization, volunteering at a gallery, taking a foreign language or something else. The financial aid or career counselor at your school may also be able to help you with ways that you can branch out and make yourself into a better candidate for more scholarships. So while they won’t be able to identify the top five scholarships that you should apply for, they can give you a list of organizations and companies to check out to see if you can set up a free internship or community service program that will make your scholarship applications a little more weighted. There are a lot of art scholarships for women, though they are often divided into specific courses of study. From art history to photography, oil painting to textile art, it’s important to focus on what you will be studying in terms of locating a scholarship that you qualify for. Once you have identified exactly what you will be studying, it will be easier to locate particular scholarships for you. You may also want to check with museums and art galleries to see if they are aware of any scholarships for women in art. Many of the museums and galleries around the country are responsible for giving out the scholarships and grants. It doesn’t hurt to make a few inquiries because it could produce a few scholarships that you were otherwise unaware of. These are fellowships to help you with your graduate studies for artists or art historians. You must be in a community that is not traditionally categorized as part of the art world. The award is in the amount of $5,000. This is for students studying art throughout the region of New England. The award will vary per year and can be for any course of study within the general topic of art, giving you a number of possibilities. These are scholarships for students who are involved in sculpture. The medium for the sculptures is not specified, though the sculptures themselves must be representational or figurative. The scholarships are for $1,000 per student and are a one-time award. These are scholarships for art students who are either undergrad or grad students. You must show financial need in order to claim these scholarships. They are designed for minority or economically disadvantaged students. The award ranges from $2,000 to $3,000 every year. Full-time students who are enrolled in metropolitan Chicago schools in a visual arts degree program are eligible for these scholarships. The award will range from year to year. In addition to winning the scholarship, the student’s work will also be displayed. Guild members can apply for grants if they are studying in the art of textiles. This can be for accredited or non-accredited programs. 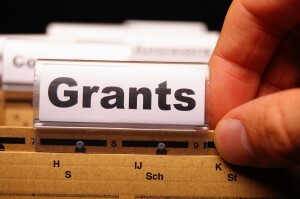 The award amount of the grants will range from year to year. They usually give out more than one grant per academic year, too. These are just a selection of the scholarships offered in art. Depending on what you study and where you will study, there are a number of other scholarships out there. You may also want to focus on competitions where you submit your art to be judged. The prize is usually a scholarship or grant that is upwards of a few thousand dollars. Many scholarships and grants are out there for women who wish to study music. Music is a very broad topic; therefore it can be advantageous to determine exactly what you will be studying. This can range from voice to instruments to conducting and even composing. Once you identify what type of music you are studying, it will be easier to search for music scholarships. Competitions can be one of the best ways to get scholarships and grants to cover your tuition. Talk to your current music teacher or instructor to see if they are aware of any competitions out there where the prize is scholarships or grants. In many cases, you can win a full scholarship if you win one of the music competitions held around the country. There are a number of scholarships offered by the BMI Music Foundation every year, allowing you to apply to one or more of them depending on which qualifications you meet. This scholarship is for the Women Band Directors International. If you are studying band music in school at an undergraduate or graduate level, you may be eligible to win one of these scholarships. Four scholarships are given out annually in the amount of $500 each. The award can be renewable for a following year. This memorial scholarship is from the Young Singers Foundation. When you are focusing on a vocal music education, you can receive a scholarship for the amount of $2,000 or even more if you are a full-time student. There are some criteria to meet but it is a significant reward amount that you should consider. This is a string instrument scholarship. To be considered for this scholarship, you must be studying viola, violin, violoncello or bass at an undergraduate or graduate level. This is not a need-based scholarship and you are not required to live in a particular region of the country. The award varies from year to year depending on funding. This music scholarship is for students residing in Kent County. You can be an undergraduate or graduate majoring in any category of music at any college in the United States. The requirements are that you have a 3.0 GPA minimum and show financial need. The award amount will vary on an annual basis. You can find plenty of music scholarships around the country. If you play a particular instrument or are involved in a particular genre of music, such as opera, then you should focus on those aspects to find more specific scholarships that will allow you to apply with less competition. There are a lot of film scholarships and grants given out to women all over the country. Whether you are looking to go into independent films, movie production or television, may impact your choice in scholarships. Often these are merit-based scholarships and it can help if you’ve already interned with a studio to give you an extra edge when competing for these scholarships. This is a scholarship fund designed for women who work in film, television and other media. The scholarship will go to a graduate student at Columbia University, City College or NYU. To qualify, you must be in your second year of graduate studies and be nominated by the faculty members of your school. The award amount will vary from year to year. This scholarship is for women of all ages and backgrounds, giving them the means to pursue a degree in film, television or other new media. You must be a female grad student in the Los Angeles area or throughout other areas of the US. Nominations will come from faculty members of your school. You must meet financial need, artistic achievement and academic merit qualifications. There are over six different scholarships under the umbrella of this foundation, giving you a number of opportunities to be granted a scholarship. The award will vary based on the year and the actual scholarship you are awarded. Students who are going to school in Florida can apply for this scholarship. You must be a member of the WIFT in order to be eligible and you must be in good standing. You can be an undergraduate or graduate student. As long as you are majoring in film, media or another related subject at a two- or three-year accredited university in Florida, you have met the main requirements for applying for the scholarship. This is a professional grant open to women in the Seattle area. The grant is for the amount of $1,000 and is for women who are members of the Seattle chapter of the Women in Film Organization. To win the grant, you must submit a film and it will be rated on various topics including originality, thematic relevance as well as technical execution. The topic of the film varies from year to year. If you are studying the film industry, you can find a number of scholarships from this foundation on an annual basis. Some are awards for competitions, such as essays and screenplays, while others require you to complete an application for consideration. Depending on the award you win, the amount will vary. It may or may not be renewable for a following year. Many of the film scholarships for women require you to be active in the film community. By becoming a member of a few different associations, you may increase your odds of winning scholarships simply by gaining access to more. You may also want to consider filming a few shorts to enter into competitions to try to win even more financial aid for your education, regardless of whether you are an undergraduate or a graduate. Talk to peers in your area to find out where they recommend looking to get scholarships. You have already identified that you are looking for art, music or film scholarships and grants and that you’re a woman, but you may be able to go for the trifecta if you are a minority, too. Hispanic, African American and Native American women may be able to look for additional scholarships that allow them to pay for college even easier. Hispanic women should visit the Hispanic College Fund at www.hcf.org. African American women should visit the National Association for the Advancement of Colored People at www.naacp.org. Native American women should visit their tribal government. Depending on what tribe you descend from, there is a tribal council that can offer you assistance in terms of what scholarships are out there for you. Whether you find scholarships that cover the broad category of ‘minority’ or one that is geared towards your specific minority, it will allow you to home in and be more specific in the criteria of the scholarships and grants, thus minimizing the number of applicants you will be up against in order to win the financial aid assistance you need. These are scholarships for African American high school students studying a wide variety of topics including music composition, instruments, filmmaking, painting, photography and sculpture. The award amount will vary depending on whether you finish bronze, silver or gold. There are local competitions to contend with if you are shortlisted. The award itself is for one year and will range from $500 in bronze to the gold medal prize of $1,000. The American Indian Arts Council offers awards to any American Indian who is studying arts. The duration of the award is for one semester though it is renewable, allowing you to continue qualifying for it year after year. The award itself will vary from $250 to $1,000. There is no geographic requirement for the scholarship. Many minorities are covered within this scholarship including African American, Hispanic, Native American, Asian or Pacific Island descent. It is designed for students who are pursuing a bachelor or master’s degree in a number of subjects including arts or graphic arts in Florida or the Caribbean. There are four different scholarships offered and they are for $1,000 each. The duration is for one year and scholarships are not renewable. This is a scholarship as a result of an annual competition. It is given to a student who has the best instrumental work or best song in a Latin genre. The award amount is $5,000 and is not renewable. There are many organizations that represent various minority groups besides the NAACP and the HCF. Identifying these groups within your community and on a national level will allow you to tap into many of the scholarships that are given out around the country. Many times you do not need to be a member of these groups to apply for the scholarships as long as you can prove that you are a member of the particular nationality. Regardless of whether you are looking for art, music or film scholarships and grants, the application process for them all is the same. You need to organize the process to ensure you have looked through the criteria of all scholarships, identified deadlines and what kind of essays you need to write, collected letters of recommendation and much more. Without some form of organization, you may be missing deadlines, forgetting things inside the packets and generally wasting your time with no chance of reward in the end. Create a full list of 50 to 100 scholarships and grants you want to apply for where you meet all criteria. This can be any type of scholarship – geared towards art, music or film, women scholarships, need-based, merit-based or any in between. The combo scholarships that require you to be a female art major or a Hispanic female music major can give you the best edge because they reduce your competition for each scholarship. It’s important not to disregard some of the broader spectrum scholarships, though, because they often hand out more than one scholarship or grant each year. The deadlines are one of the most important aspects of scholarships. These can range throughout the year but often times they fall about a month before spring or fall semester. Many deadlines are in the months of May, June, November and December. Place all of your scholarship deadlines on a calendar with a few weeks before the deadline when possible. This gives you plenty of time to gather all information and get it in the mail with weeks to spare. Many scholarships that are national stop taking applications when they reach a certain number. Getting your application in before the deadline ensures your application is accepted before they reach their quota. You may need to have letters of recommendation, a resume, an essay or various other things to include with your application for the scholarship or grant. When given the choice, you should type out as many of the requirements as possible, particularly if you have poor penmanship. You don’t want to lose out on a scholarship or grant simply because the board cannot read your essay or a response on your application. Make sure you allot enough time to work on the essays. Every essay will probably be completely unique. This means you won’t be able to recycle any of your essays for multiple scholarships. Consider the angle of your essay based on the company or organization you are writing for. This consideration can be enough to tip the scales in your favor and win you a few more scholarships. Ask employers and instructors for letters of reference. Keep about five or six on hand and include the best ones when asked for the scholarships and grants. You may wish to send one instructor’s with one application and another instructor’s with another application depending on who they are and what they have to say about you. While you can do a lot of the staging work for all scholarships and grants as a collaborative effort, you want to make sure you package and send off every scholarship and grant application separately. This gives you a chance to look over everything they require and ensure you have gathered everything necessary. This includes the application itself, any resumes, letters of recommendation, an essay and any other data they require. You may have the option of submitting the information via a website or mailing it to a particular address. When given the choice it is up to you. Otherwise, make sure you follow their very specific directions. Check to see if you can include a SASE to get a response back as well. This will help you find out if you won the scholarship or not instead of waiting around and deducing the truth after enough time has elapsed. It’s been said before: the more scholarships and grants you can get, the easier it will be to afford tuition, books, room and board and any other expenses you may incur. You need to know what scholarships and grants you’ve been given and which ones you didn’t get because you may need to apply to a few more to meet your quota. You may also want to re-apply to some the following year if given the option. Most scholarship details will give you a date in which they make a decision. Not all scholarship and grant committees will notify everyone who has submitted an application because it is too time-consuming of a process. What they will give you is a date by which they will have announced winners. If you don’t hear by that date, then you know you aren’t one of the recipients. Create a list of all the scholarships you apply to and the dates where they announce winners. As you receive letters from scholarships or the dates have passed, make note to find out which ones you are still in the running for and which ones you are out of completely. In the end, you may be able to pay for a significant amount of your college expenses through scholarships and grants for women. The music, film and art career paths offer a number of financial assistance; all you need to do is locate them and fill out the applications. At most you’re spending some money on stamps, which isn’t a lot of money when you take in the cost of tuition these days. Take the time to spend looking at scholarship and grant opportunities. The ones you locate may very well be the ones that make your dreams of going to college a reality – without relying on student loans to get there. Don’t focus on how much the scholarships are for. Whether you get one full scholarship or several small scholarships and grants, it helps you pay for college. Hi! I’m going to study Bachelor in Filmmaking for 3 years at New York Film Academy in september this year. A scholarship in Art would mean the world and beyond to me! A woman wanting to be a director is incredible unusual but I’m going to show the world that this is going to be to my advantage and prove that director Kathryn Bigelow won’t be the only female oscar-winner for “Best Director”! Hello! I need funding in order to complete my degree as a filmmaker and I am currently receiving a 3.5 average at my school. To graduate I will need approximately $25,000 more and have been searching all over the place including the internet, church and even the library (and their reference book is large, but somewhat out of date). I attend school full-time, am single, and have two little kids… I need this degree. Do you have any suggestions of contests for writing or creating short films? I’m good at it. I am Saakshi Sharma, a graduate in Fine arts from Jawaharlal Nehru Architecture and Fine Arts University, Hyderabad.I am writing this letter to express my interest in applying for your scholarship program. I have been admitted into the Master of Fine arts program at Studio Art Centers International (SACI) in Florence, Italy. However due to financial constraints, I require additional monetary support to pursue my dream. Art has always been my passion and I was always drawn to the creative world. My confidence as an artist has further grown from when my paintings were selected to be displayed in State Gallery of Fine Arts and Diara Art Gallery in Hyderabad. Your financial assistance will help in my career advancement and provide me with an opportunity of a lifetime. I am trying to help a good 24 year old student, who just found out that her loan is not going to be given…she owes $6500. due in six weeks…I am trying to help her to find funding (grants, scholarships etc.) she is a good student and paying for her own education. She is very responsible, and wants to graduate. She is attending an art school in Chicago. I am seeking a scholarship to attend a conference in New York for three days for writers of children’s books. It is beyond my budget but I have airfare and a place to stay and I just need the tuition. Is this the place to seek financial help? I have written 2 books and have produced Emmy Award winning films for Sesame Street. I have been a dance teacher for 30 years. Hi I have worked as a creative dance teacher and choreographer for 29 years for children of all ages. Just got accepted to do printmaking in Italy for three weeks. Eeeks hard to fund that one. I have room and board and air paid for I just need $$ for supplies to finish a book for children I just started. I will complete it in Italy and publish it and give it away. Any ideas? Thank you for this wonderful site. Hello, I am a singer-songwriter and performer from Mumbai, India. I have recently received my acceptance letter from the Musicians Institute, Los Angeles for a degree program entitled Associate of Arts in world music. I need financial help to pay the fees for this course. Kindly let me know how to apply for the concerned scholarship. Respecd sir/ madam. I am Nikki kumari a graduate in fine art from new delhi. I am writing this letter to experss my interet in appling for your scholorship program.I have been admited into master of fine art program at (NID) National Institute of Design (Ahmedabad) India.however due to financial contraints .I require additinal montory support to pursure my dream. Hi, My name is Mignot Abdulkadir from Ethiopia. I am attending a diploma programme in a college in painting. I will graduate in June 2015. 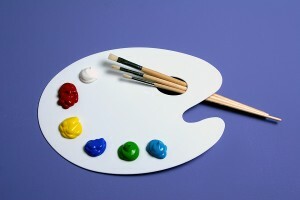 I am interested to continue my Education in painting. I want to be one of the beneficiaries of women scholarship. Please consider my interest. i m naima saad from morocco, i wish to continue my study in painting or design. i have a high school diploma in fine arts + 2 years studying in the center of teachers to be an art teacher for junior school. please help me to find the fit women painter schoolarship. i need to know how shall i do to obtain the fit schoolarship? any body will take contact with me to help me i will be so happy. hey…hello; this is Rehoboth I am very great full to shear my dreams with all of you. I am now 19 years old. i am about to join university and I really love doing what I want to do and that is taking pictures which is unexpectedly, directing for music and advertisements and I am working some stuff on sekching too and I really need this please just try to help me and give me the chances to do with more opportunities. I am a 24 y/o African American female studying video art at Syracuse University. Currently, I’m studying abroad this semester. I am in search of any scholarships for minorities in Art. I have a 3.4 GPA. Can you help me? I am convinced that I was placed on Earth to do extraordinary things! I would love to have my own art studio and oven. In the fall of 2016, I will major in ceramics @ Henry For College in Dearborn, MI. I see myself marketing my work and donating proceeds to the cause of homelessness. I have a deep desire burning inside of me to help homeless people overcome the Mt. Everests in their lives in order for them to get their lives back on track. Nothing empowers individuals more than encouragement and belief in them to overcome difficulty. I love putting my hands in clay and creating great works of art. We are all works of art on the Potter’s wheel. Please help me to achieve my dreams.